“After extensive reading and great conversations with educators throughout the country, the conclusion was clear: if we want students to be empowered learners, educators first have to feel empowered to identify what they need to learn and how they want to learn,” shared Milford Superintendent, Nancy House. A framework for this year’s inservice days was created districtwide to include time for building-level meetings and then learning sessions with similar foundational experiences for all teachers such as personal inquiry, EdCamp, and collaboration with colleagues. EdCamp sessions bring together teachers and administrators and promotes learning through an organic, participant-driven experience where educators drive the topics of their own learning. At the latest inservice day on November 7, Milford High School math teachers, Kevin Metzger and Matt Johnson, led a workshop on personalized learning in the math classroom. Metzger and Johnson have taken the initiative in their co-taught Math III classroom to experiment with personalized learning in each unit they teach. The students will research specific topics on their own in order to solve a problem that is posed at the beginning of the lesson. Students research different websites or engage in videos that Metzger and Johnson create. Students then use the information that they learn to solve the problem in a collaborative or individual setting. “Using personalized learning in the classroom allows students to take responsibility for their own learning of the topic. It also allows the students to learn at a pace that is comfortable to them, but also keeping them on track with the pace of our curriculum,” Metzger said. Metzger feels that the professional development days in the district have been effective because it gives teachers the opportunity to plan for more rigorous classroom activities that achieve reachable goals for students in a manner that they can relate to. 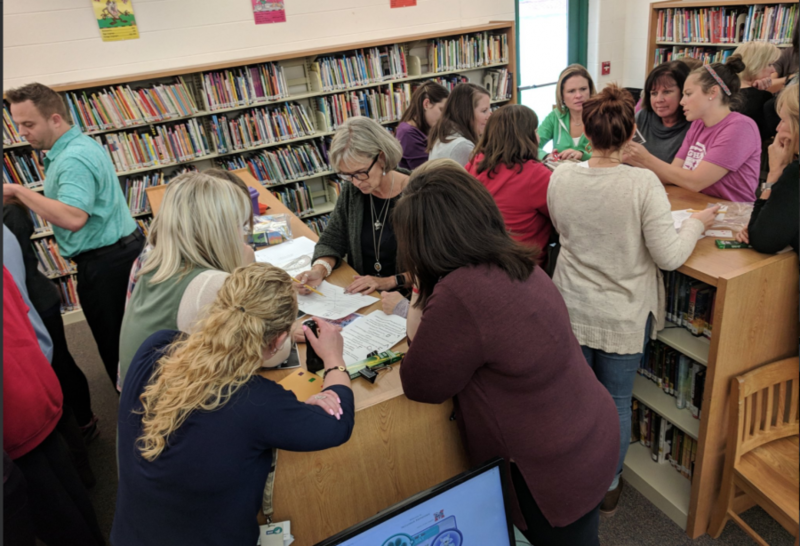 Milford teachers have been able to collaborate with their colleagues to plan better lessons and discuss a variety of topics and strategies such as flipped classrooms, STEM lessons, literacy comprehension, and co-teaching strategies. “The reason we have been able to create so many personalized learning lessons in our co-taught classroom is because of the ideas we have been given on our professional development days. Personalized learning for teachers is equally as important as personalized learning for students,” Metzer added. Milford High School AP Literature/AP Capstone teacher, Betsy Woods, agrees with Mr. Metzger and said she feels energized after a day of professional learning with her colleagues. Professional learning days help Milford teachers at all grade levels better meet the needs of students. “Personalized learning is about taking a broader topic and relating it directly to my classroom so that I can best meet the needs of my students. Today I worked with teachers spanning from all grades K-6 and then personalized the ideas for my first grade students such as using Google Classroom during math centers,” Jennifer Weiler, first grade teacher, Boyd E. Smith Elementary. 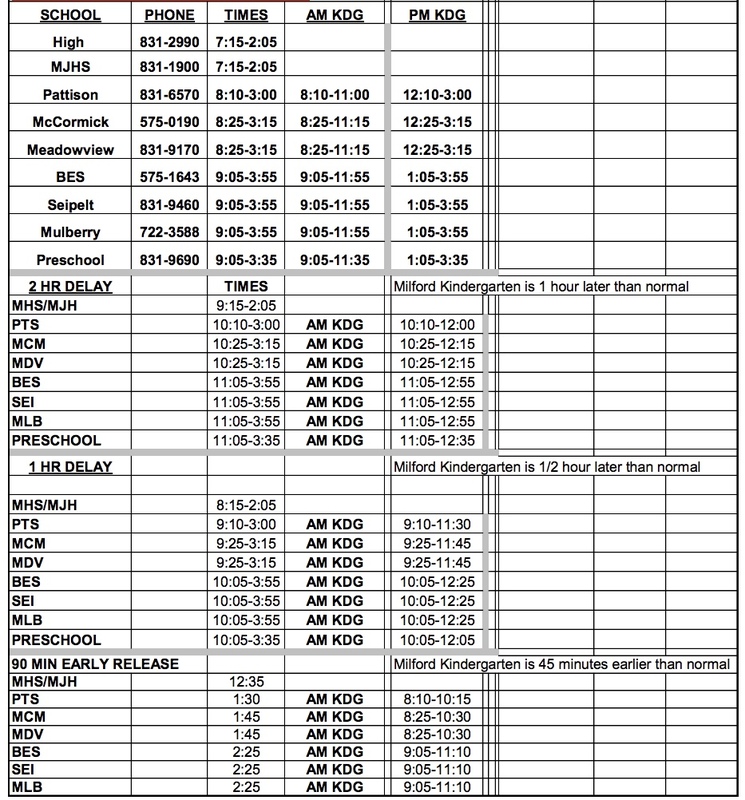 Milford has two remaining teacher inservice days this school year on December 21 and February 16. In future inservice days, teachers will be able to travel to other schools in the district and collaborate with teachers in other buildings.